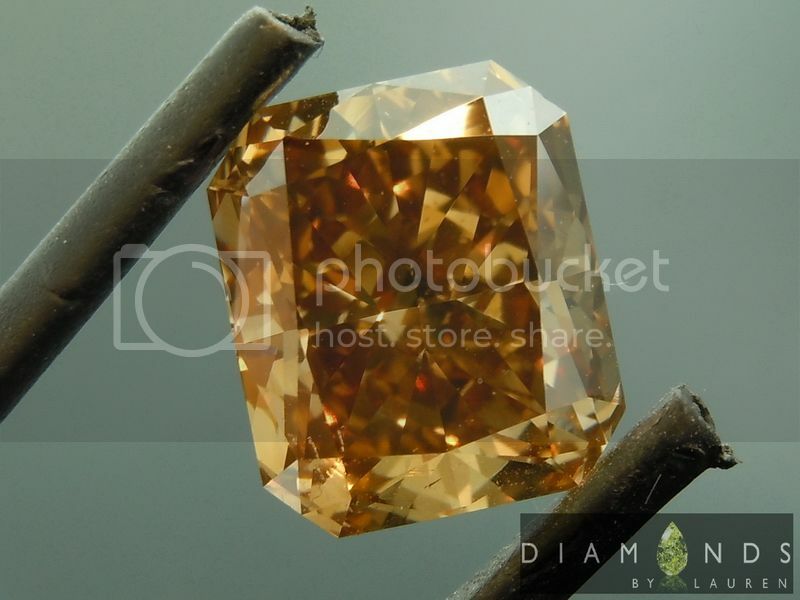 If you buy this diamond, you will know its origins, which is pretty cool. 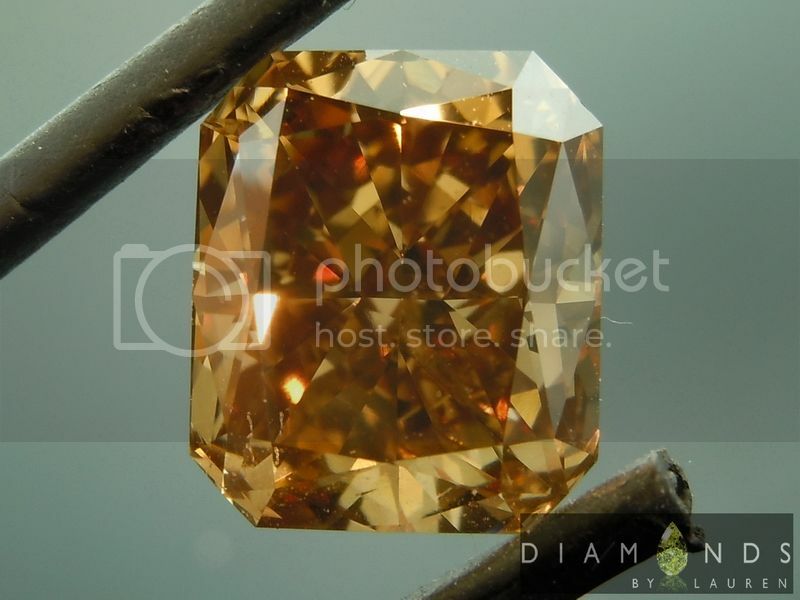 The diamond was purchased as part of a large parcel of rough diamonds from Rio Tinto. 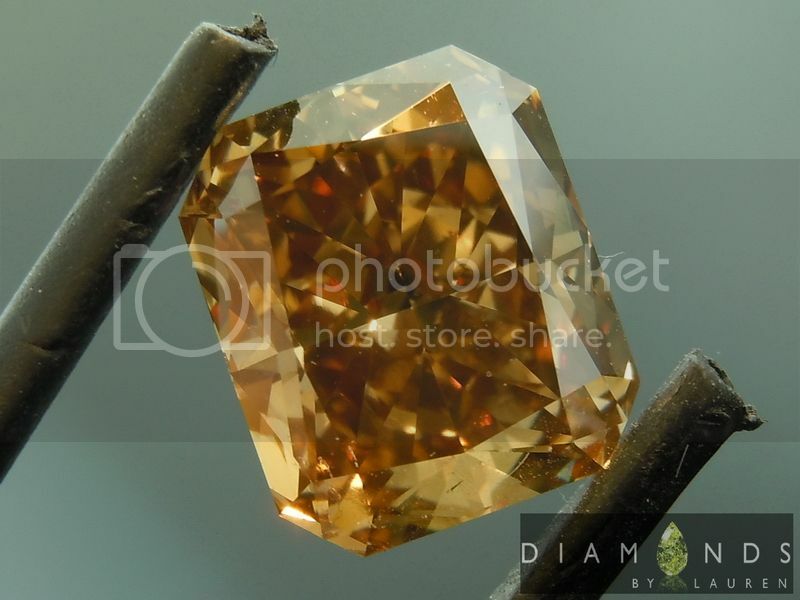 The rough diamonds were unearthed in Australia, the Argyle mine. 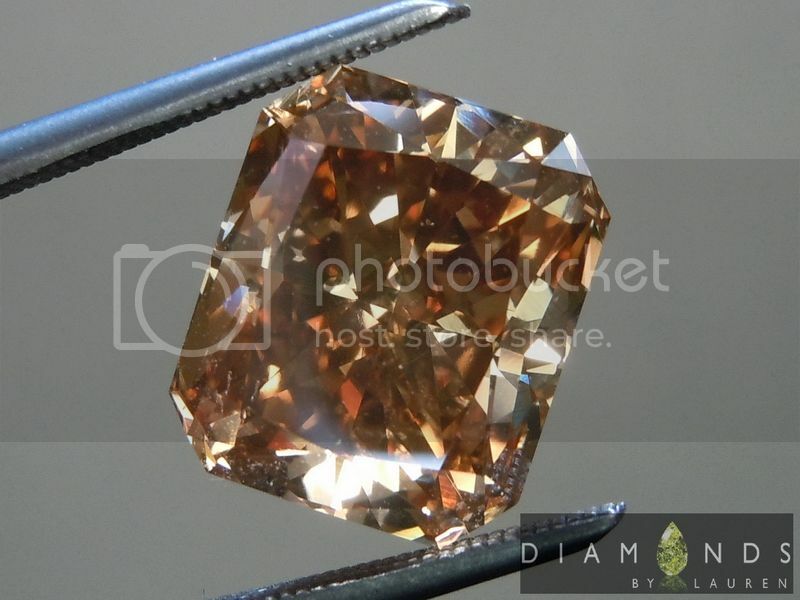 Although the most notable, and costly diamonds from the Argyle Mine are the pinks and reds, many brown diamonds come from the mine as well. Lucky for us, the parcel was purchased by a great friend of ours. He happens to be an amazing diamond cutter as well. Many of the stones ended up heavily imperfect. The four stones above are all SI2 or better clarities, and all are well cut. 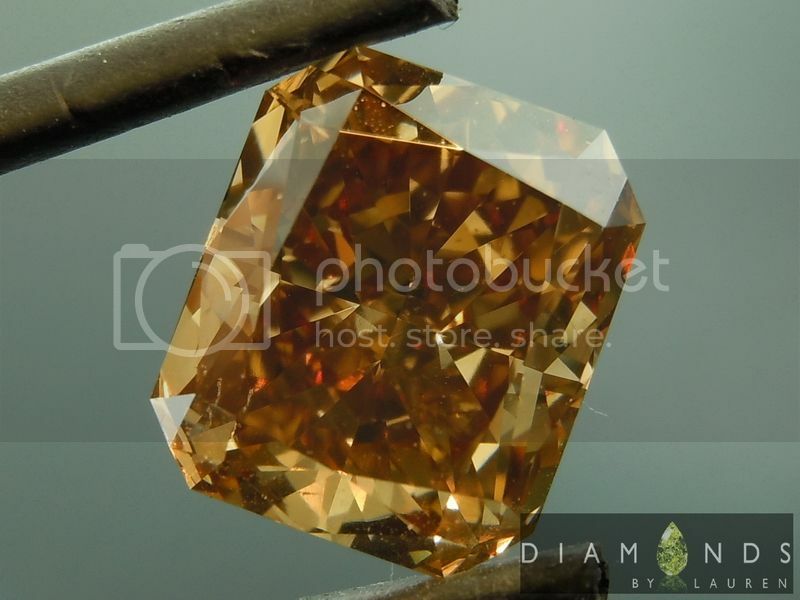 Here is another stone from that group. 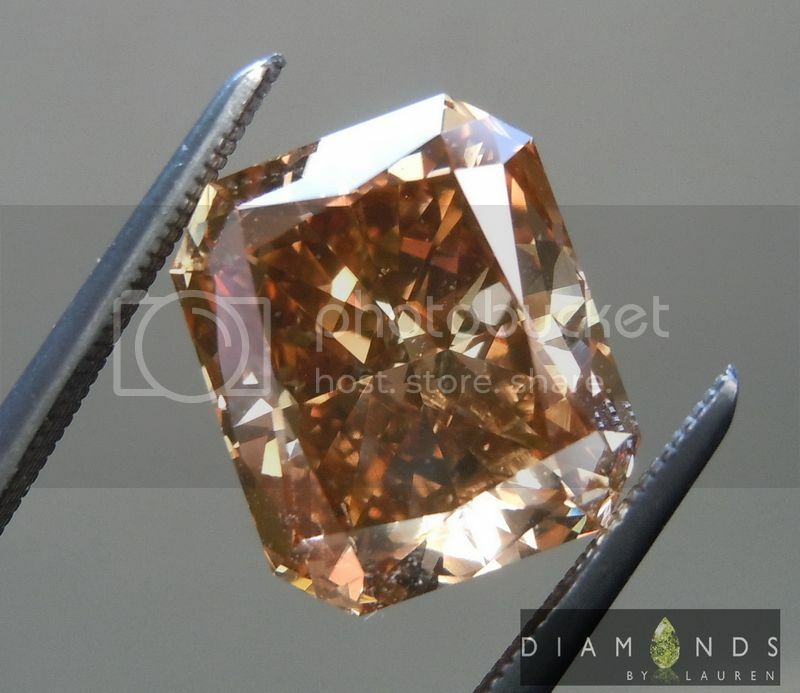 It's a radiant cut - and wow, is it ever radiant! 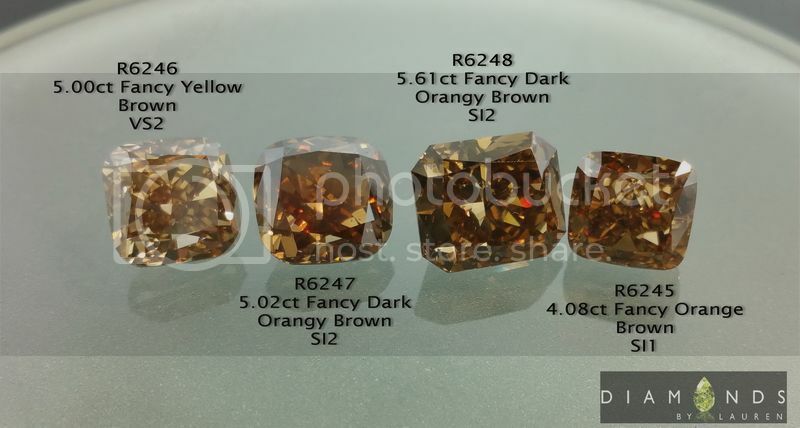 The stone has a remarkable amount of white flashes - when you combine that with the deep orange brown body color, it puts on amazing light show. The overall shape is very pleasing to the eye- logical proportions and nicely defined corners. 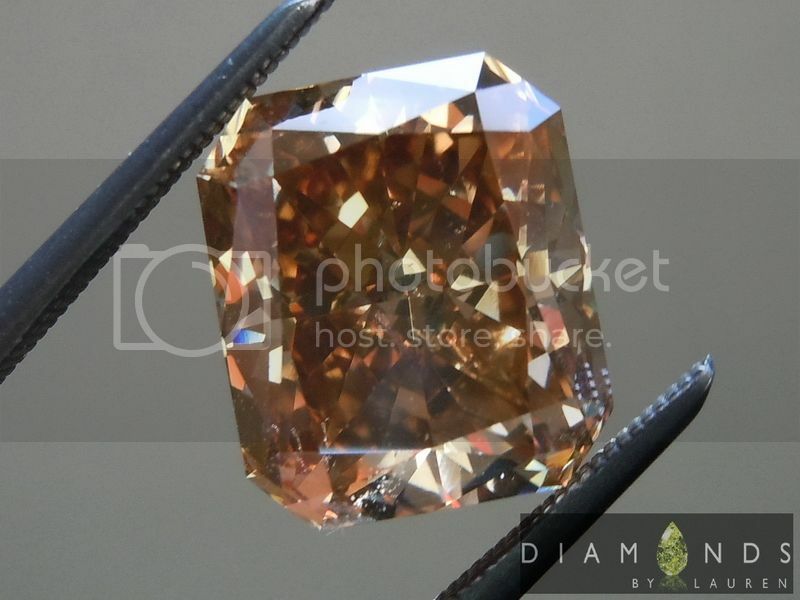 GIA graded the diamond SI2 clarity- and it's of course, an accurate grade. 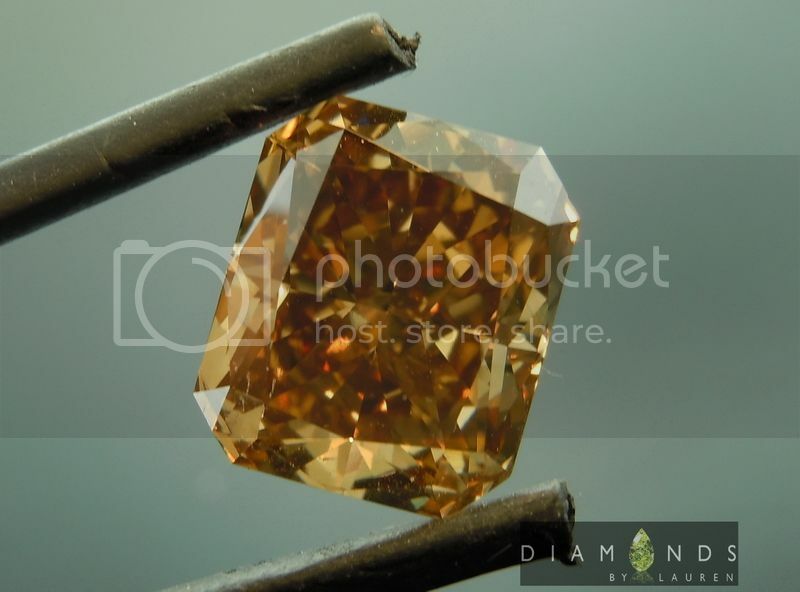 Keep in mind that the color, and placement of the imperfection make it all but impossible to find under 10 power magnification- the diamond is totally eye clean.